Advanced pillows. Sleep apps. Smartwatch biorhythm trackers. White noise machines. You don’t have to look hard to find a whole mountain of devices and technologies that promise a better night’s sleep. But what if the answer to a better night’s sleep isn’t adding more things? What if it’s peeling things away? Truth? You already have everything you need to sleep better. Every night. This article will show you steps you can take right now to get better sleep tonight. We’ll look at what you can do to your bedroom, including clearing what’s getting in the way and setting up your room for sleep. Then we’ll look at how to get yourself cleaned out and ready for bed. And we don’t just mean brushing your teeth. 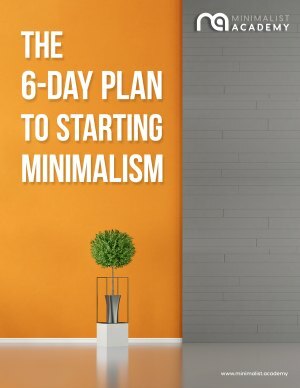 Here’s how a minimalist gets the best sleep. For many of us, we sleep in an office/gym/laundry sorting facility/storage closet. You can see where this is heading. First step to a good night’s sleep is getting rid of what’s not needed. A good way to start is to think of what is needed. A bed. A night table. A glass of water. Ok fine. We’re not asking you to become a monk. Obviously we need more in our bedrooms than just that, unless you’re willing to store your socks in the kitchen with the pots and pans. The important thing is to gear your bedroom for sleep. And only sleep. The exercise bike must go. Ditto the laptop. 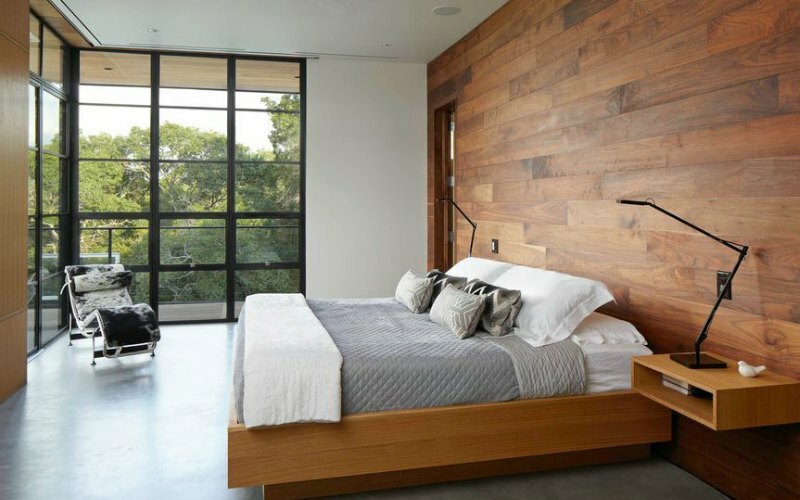 If you can pare down what’s in your bedroom to just bed, dressers, night stands and maybe a chair, you will start to see the bedroom as a room for sleeping, dressing and being intimate. And your mind will too. Here’s the tough love portion of this program: The TV must go. The laptop must too. Now, we’re not going to come to your house and check. That’s creepy. But just know that a TV or computer in the bedroom creates distraction. In your mind, you’ll always know just a few feet away lies a literal infinity of things to see, watch, absorb, and pay attention to. The opposite of peaceful. The opposite of sleep. After you’ve cleared out the excess, what about the stuff that remains? When it comes to decorating, keep it simple (big surprise from a minimalist guide, we know). Stay away from loud patterns on both the walls and bedding. A few pictures are nice, but keep them framed, and to a minimum. Think natural colors and materials. Cottons, wool, jute. For colors think greys, muted blues and greens. White is especially calming. The practice of Feng Shui advises to eliminate all photographs and mirrors to bring calm to the room. Whether you get behind that or not, you can imagine how a room that looks like an art gallery or fun house is going to be a lot less peaceful to be in than a room with mostly cleared walls and surfaces. The chair should allow you to put both feet on the ground. If want to sit on the floor, a small cushion or a mat you can roll up and stow will work nicely. The important thing is to have a cleared space (or chair) where you can easily sit without feeling crowded. Now that we’ve gotten your bedroom ready for a peaceful night’s sleep, it’s time to turn the focus on you and your body. First we’re going to show you how to clear yourself, then we’ll show you how to arrange yourself for sleep. Turn your phone to silent, then plug it in. In a different room. We know it’s hard to be without it. Even for a minute. Even while you sleep. And that’s the exact reason why putting it in a different room will signal to your body that it is time to sleep. We even recommend saying goodnight to your phone. Say, “I am sleeping now. Goodnight phone. Anything you have to tell me can wait until morning. There’s nothing I can do about it anyway. I am sleeping.” We promise it’ll get easier after a few days. Draw the curtains. Light is a big factor in letting our brain know it’s sleeping time. If you don’t want to be woken up with the sun, drawing the shades is a good way to keep sleeping. Turn out the lights. This seems like a no-brainer, but take a moment to assess the light levels in your room. A bright clock. Lights filtering in from other rooms. The neon lights from the all-night diner across the street. Blackout curtains, analog clocks, and a circuit around the house turning off all the lights are great ideas. Sit and breathe. Just for a minute. This is where the chair or place to sit comes into play. Take a seat. Get comfortable and breathe. Not too deep, not too shallow. Just naturally. Pay attention to the way the air feels as it comes into your lungs. The way it feels as it leaves your nose. There’s no agenda here, you’re just taking a minute to pay attention to your breath. A moment to let the day go. Don’t worry if you sit there and think about the day ahead or the day that passed. Just say to yourself, “I am thinking.” then let that thinking go, as much as you’re able, and just breathe. You’ve laid the groundwork. Your space is uncluttered and pared down. Distractions have been put someplace else. You’ve taken a moment to breathe a bit. All that’s left is getting some sleep. Now, the more you “try” to sleep, the harder it is. The key is to let sleep come. A good rule is if you aren’t sleeping after 20 minutes, get up. Try sitting and breathing again. Try some simple stretches. You could even try reading a book. Go to the kitchen and wash a dish. When you feel a little sleepier, get back in bed and try to let sleep come again. You already have everything you need to sleep better. It’s just a matter of moving things around. Paring down. If these ideas seem like a lot of work, just do a little at a time. Start small. Every little step will help you to get there. And sooner rather than later, sleep will come. And it will be wonderful.